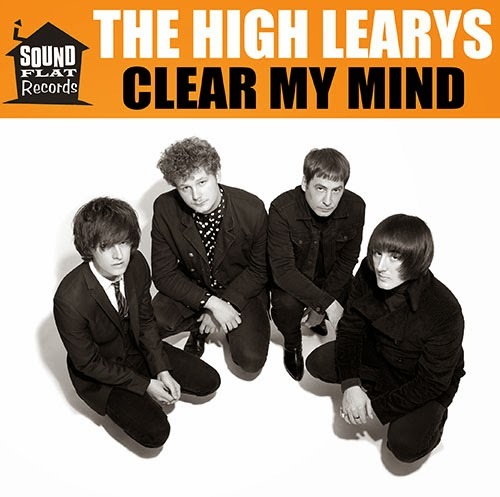 When I first saw a photo of Perth band The High Learys, I knew these guys would be fans of The Kinks, The Zombies & The Hollies. Their dress code says it all - prefect mod hair-do's, Chelsea boots, polka dot shirts, skinny pants and fitted suits. Sure these outfits were all the rage in the summer of 1966 and The High Leary's are a bunch of stylish men but would their music embody the retro sounds of the past? The answer is yes. New single 'Clear My Mind' is a swinging brit-pop number which features the harpsichord, mellotron, flute and that sweet 60's organ. The guys are about to embark on their next european tour in November/December and will play shows in Germany, Spain and the UK - more details here.